A comparator is a precision instrument used to compare the Dimensions of a given working component with the actual working standard. There are different types of comparators are available. An optical comparator is one of the types of a comparator which is made up of optical means. What is meant by Optical mean? Let’s see what are they? An incident ray will hit the mirror and gets reflected. And this ray will be projected on to the scale. In the below picture an incident ray OA is projected with an angle θ on the mirror and it gets reflected with the same angle θ. The mirror can be tilted. 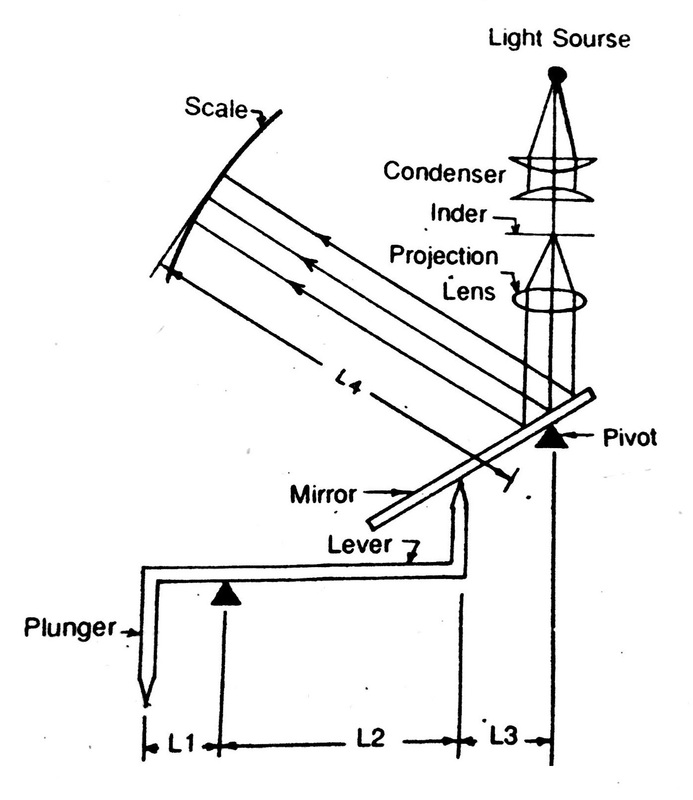 where the tilting of the mirror can be controlled by the measuring plunger. This movement will be projected on the graduated scale. Mechanical-Optical Comparators are same as the Optical comparators but the Plunger in mechanical-Optical comparator will be replaced with the Pivoted levers. The Plunger is replaced with the lever mechanism. The lever acts as the plunger. The mirror is connected to the lever mechanism. The lever is held by the pivot point. The lengths L1 and L2 make the Magnification The L2 should be greater than the L1 so the more magnification is achieved. When the measuring tip is contacted the workpiece, then the lever starts rotates about the pivot. The mirror will tilts accordingly about the Pivot point. 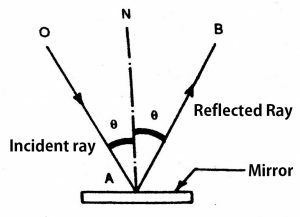 The reflected ray will be projected on the graduated scale and shown as the reading. High accuracy will be achieved since it is having very less moving parts. Parallax error will be avoided. Less weight compared to other comparators due to fewer parts. Very Suitable for precession measurements due to high magnification can be achieved. Need a separate electrical source. Not suitable for continuous use due to the scale to be view thru eyepiece. Suitable to use in Darkroom only. I am a mechanical engineering. I would like to make career in design. Pls MKE me guidance on which software is better? Either Uni graphics or catia? Pls give me Guidance. Any CAD software can help you grow in this field but you have to have the right opportunity. SO better learn one CAD system perfect and look into the other CAD systems they will be quite similar to each other. SO you can grab any opportunity.